Fun fact about me, I love plague stories. Real plagues, not made up ones. Fever 1793 (Laurie Halse Anderson) and The Hot Zone (Richard Preston) were both fascinating and I was thrilled when I heard there was to be another YA novel joining the ranks of stories with historical plagues. 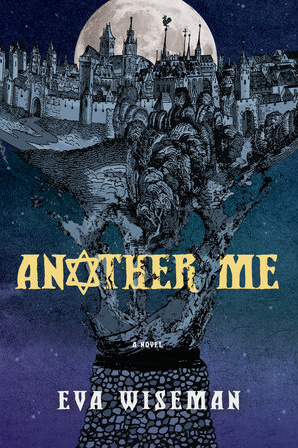 "Another Me" takes place in city of Strasbourg around 1350. We follow the story of 17 year old Jewish boy Natan. Natan is used to assisting his father in the draper trade from the security of the Jewish section of town, but when his father gets hurt it’s up to Natan to deliver to the goods in town. Along the way Natan meets Elena, a Christian, and is instantly drawn to her compassion and beauty. 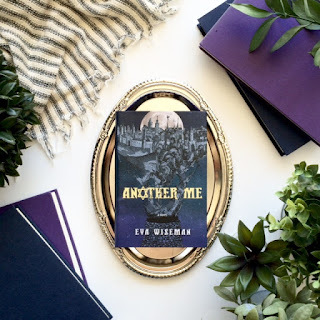 Their forbidden romance is just blooming when Natan witness men poisoning the town well and overhears their intention to blame it on the Jewish people. Suddenly, by a magical twist of fate, he is pulled into a battle he never wanted to wage, torn between fighting for the girl he loves, caring for a plague ridden city, and saving his people from the lethal hatred and suspicion mounting against them. 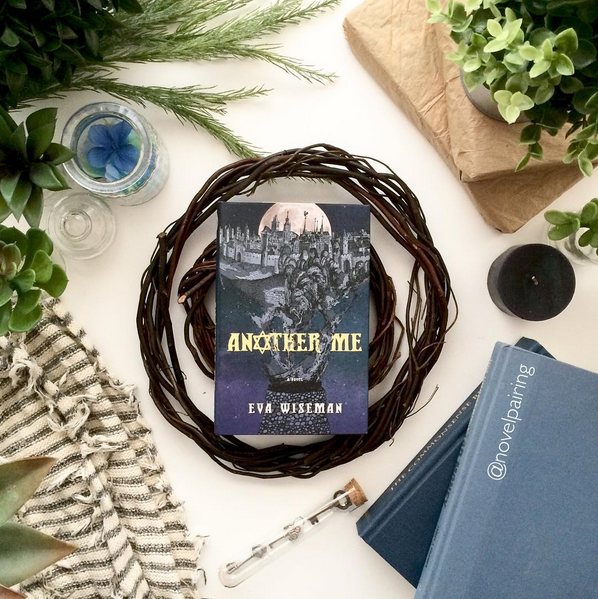 When I started this book I was really excited about the plague element and looking forward to reading a love story about a Jewish boy and a Christian girl as they fought the odds during a plague torn town. But… it wasn’t really about that. It was more about a Jewish boy being the one person that is supposed to save his people from extermination and the plague seemed more of a backdrop to heighten the towns hatred for the Jewish people. I didn’t love the magical element, which is surprising because I am all for magic in pretty much any way it can be expressed. However I wasn’t expecting magic (which was a slight put off from the start) and I honestly didn’t feel like it added much to the story. I kind of felt that just about everything Natan did he could have done successfully without the fantastical element. The love story was a little disappointing to me and for all of the plot build up the climax was a huge let down. So much happened and so much was riding on Natan saving his people. I kept waiting for something grand to happen, for him to really stand up and come into his own, and do what he needed to do, but I felt like that never came. The ending felt wildly anticlimactic for me and I can’t help but wonder if it’s because it was rooted in a Jewish culture/belief that I’m not aware of. In any case it didn’t work great for me. With that said the story flowed well and it’s clear that Wiseman has a solid grasp on Jewish culture and history. Many historical elements and events are carefully woven into the book and I thought she did a great job describing the era. I liked the notes about how cleanliness and lack thereof in everyday practices played into the spread of the plague. Her characters were likeable and thank goodness there was instant attraction, but many careful conversations before you felt the "L" word floating about. (instalove kills me). Overall the book was an enjoyable read, as a plague lover it still appealed to me and I'm not sorry I read it. I think I would have enjoyed it more if I had gone into it expecting the fantastical element, so hopefully if you've read this and pick it up you'll love the story.